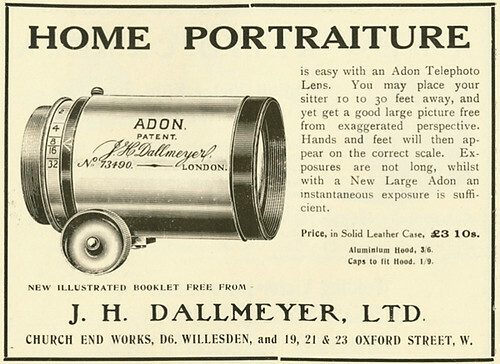 J. H. Dallmeyer was a British company, founded in 1860. 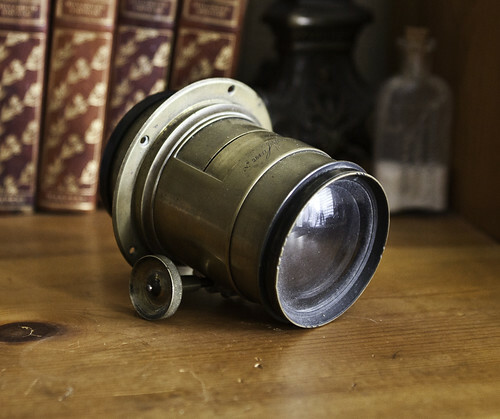 Their main business was to manufacture lenses, but they also sold cameras. 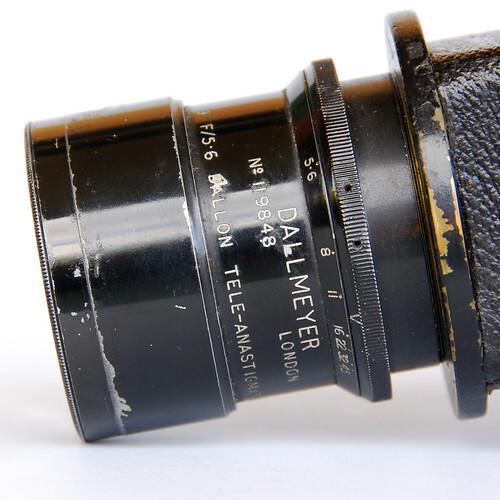 Some of these were manufactured by Dallmeyer themselves, some were made elsewhere then equipped with Dallmeyer lenses and sold under that name. Dallmeyer was born in Prussia. On coming to London, he worked for optician Andrew Ross, and later married Ross' daughter. Dallmeyer went into business for himself after Ross' death in 1859; Ross' son Thomas continued the Ross business. Dallmeyer designed both photographic lenses and telescopes, and was on the council of both the Royal Photographic and Astronomical Societies. He passed on the business to his son, Thomas R. Dallmeyer before his death late in 1883. See also their 39mm screw lenses, and Rapid Rectilinear. ↑ British Journal of Photography Vol. 31, No. 1237 (18 January, 1884), pp 37-38 available at the Internet Archive to view online or download in various formats. Dallmeyer's death is announced briefly on p21 in the previous issue. T.E. Lawrence's quarter-plate Dallmeyer in the catalogue of an exhibition Cameras: the Technology of Photography at the Museum of the History of Science, Oxford, 20 May - 13 September 1997. This page was last edited on 12 December 2014, at 01:51.